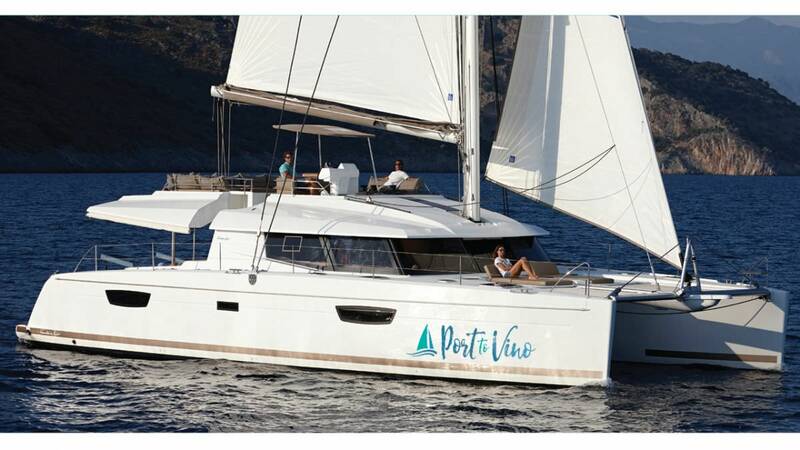 The newly commissioned 2016 Port to Vino is a truly stunning crewed charter catamaran, built and maintained to the highest of standards. 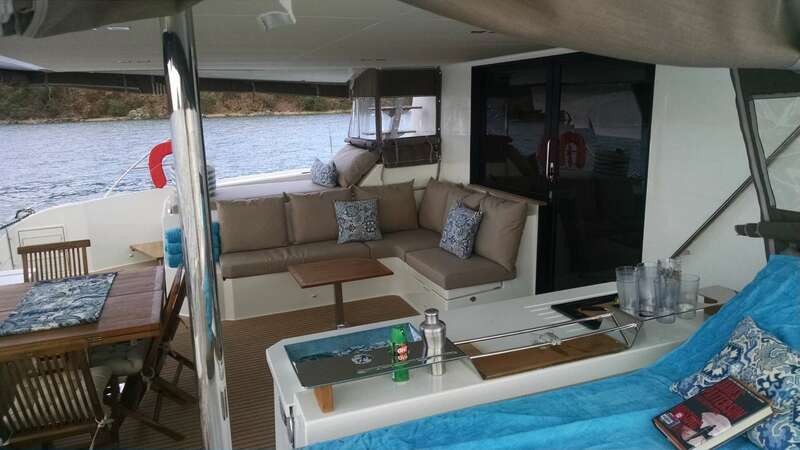 She has a spacious cockpit where you can live inside and out an amazing foredeck for sunbathing and a magnificent flybridge for relaxing and entertaining. 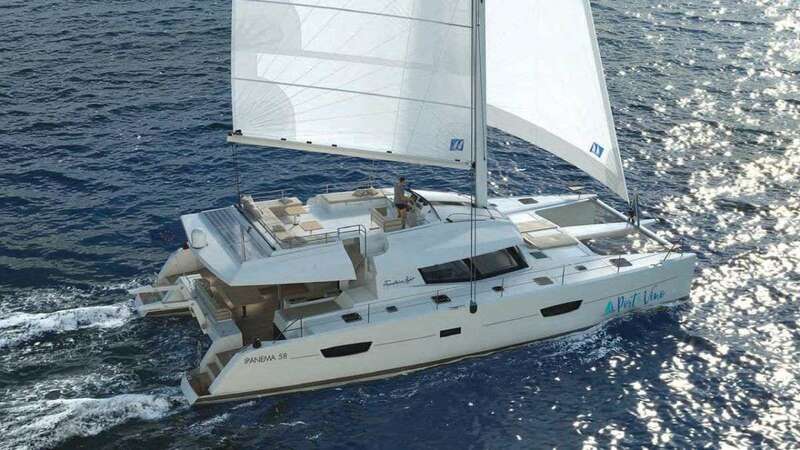 The views are breathtaking as you sail. 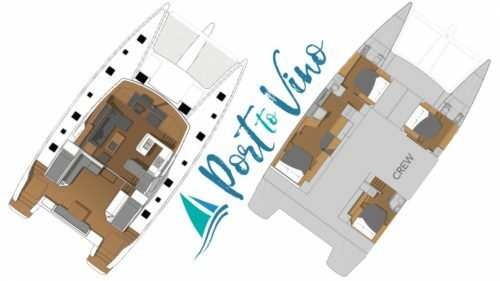 The interior of Port to Vino has all of the comforts of home but on a luxury yacht. 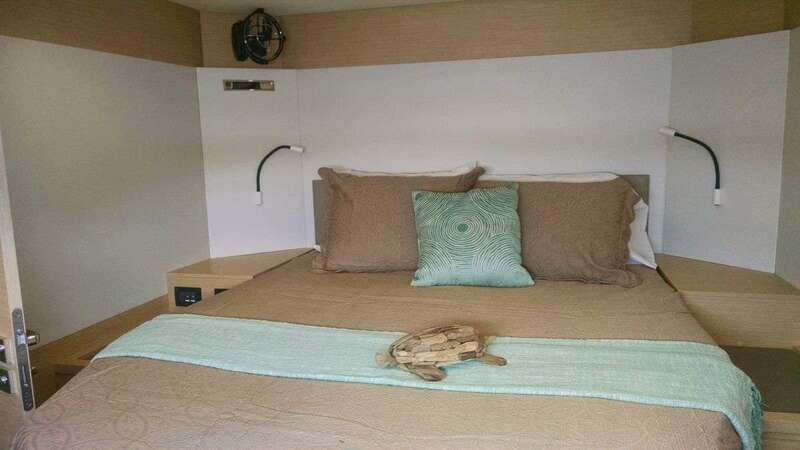 She has 4 queen staterooms each with its own ensuite bath as well as an inviting common area. 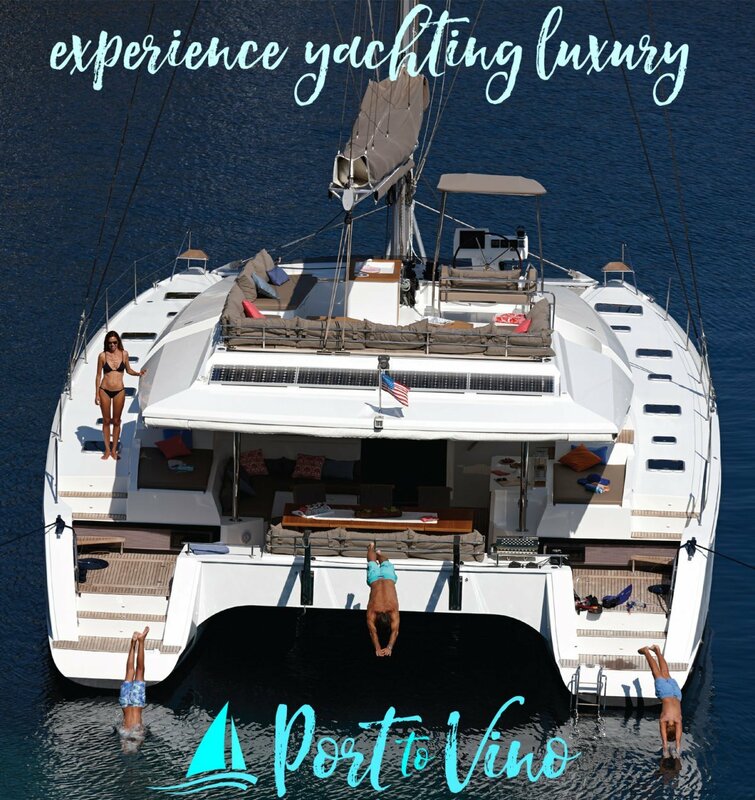 Port to Vino will accommodate up to 6-8 guests for your dream vacation. 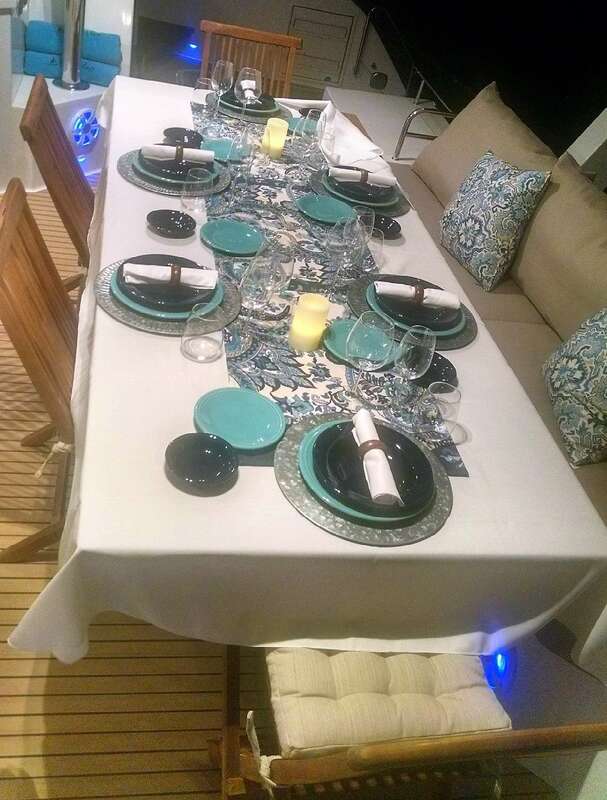 Gourmet meals are expertly prepared in a fully stocked galley and served al fresco on the aft deck where you can view the coastline and feel the Caribbean breezes. Up to 4 dives during the week are included for certified divers. 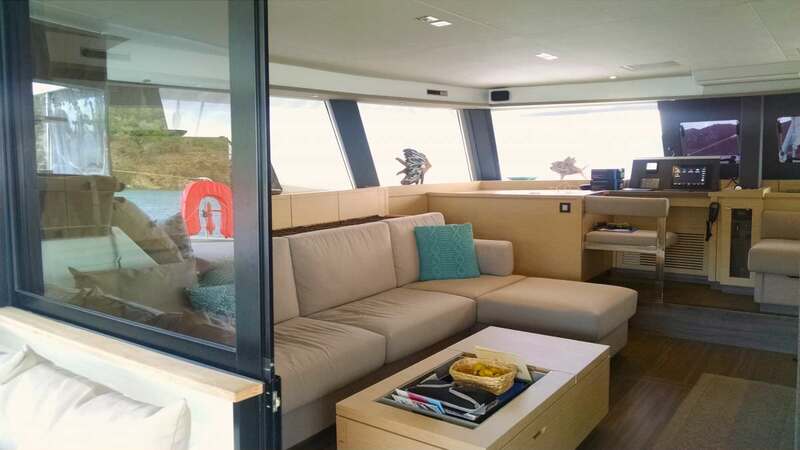 We want to provide an exemplary charter experience whilst maintaining your vessel to a high standard. Safety always comes first, but that doesn’t mean our guests can’t have fun too! 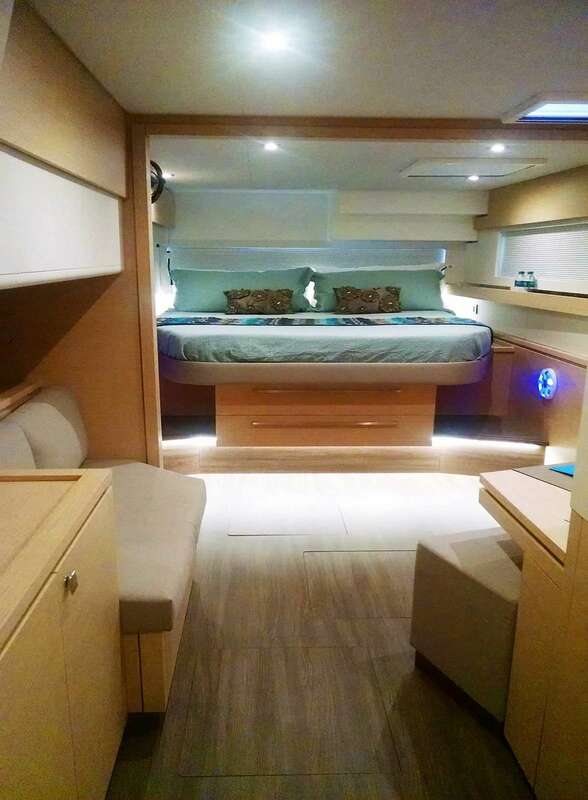 Are you interested in exploring the underwater world as well? 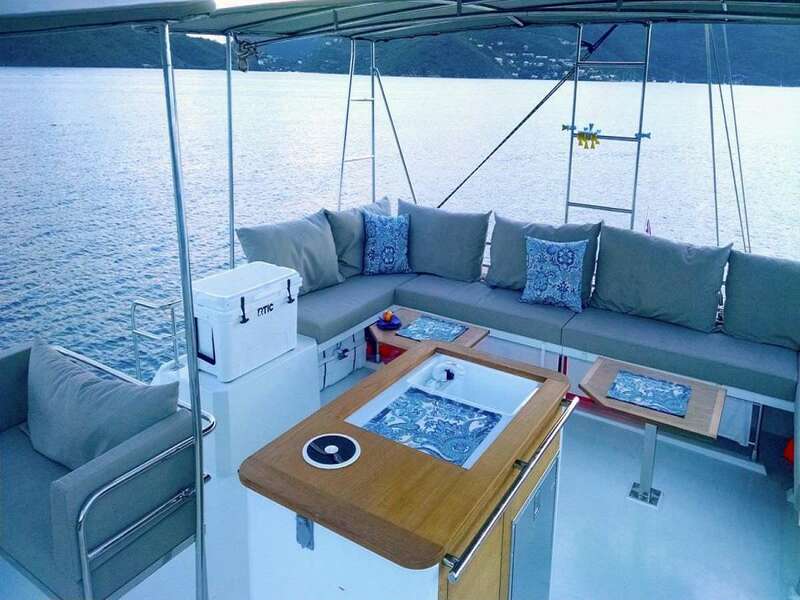 We can guide you through the reefs while either diving or snorkeling just as comfortably as we navigate the islands above the water. 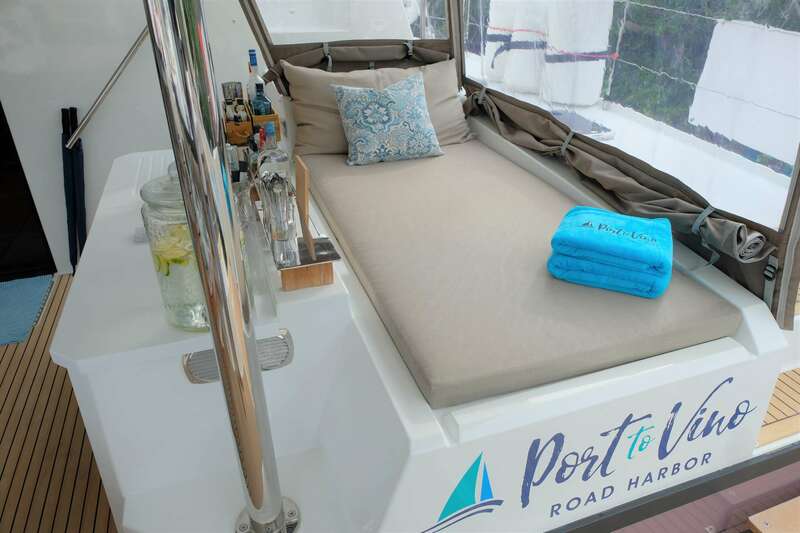 We pride ourselves on making every charter a unique experience by catering to each guest’s preferences and requests. Neither of us ever imagined we’d be living and working on a boat, but can no longer imagine life anywhere else! Combined, we have over 30 years of diving experience, over half of which is in a professional capacity. 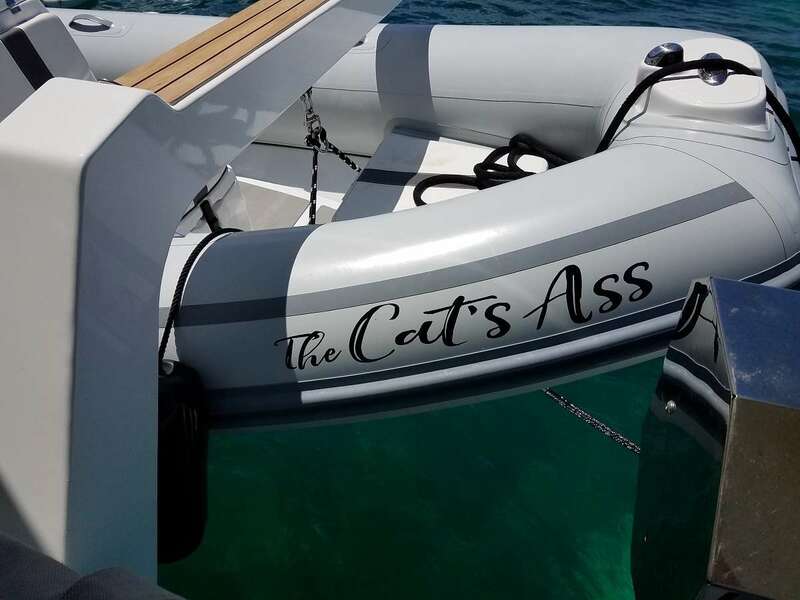 We met working for a dive charter company in coastal North Carolina. 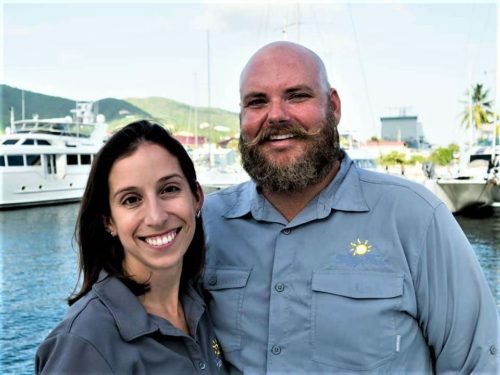 Caitlin had completed a degree in Marine Science from Rutgers University and was aiming to increase her professional dive experience while Jeff was a newly minted captain after many years working abroad in Asia and Central America as a dive instructor. 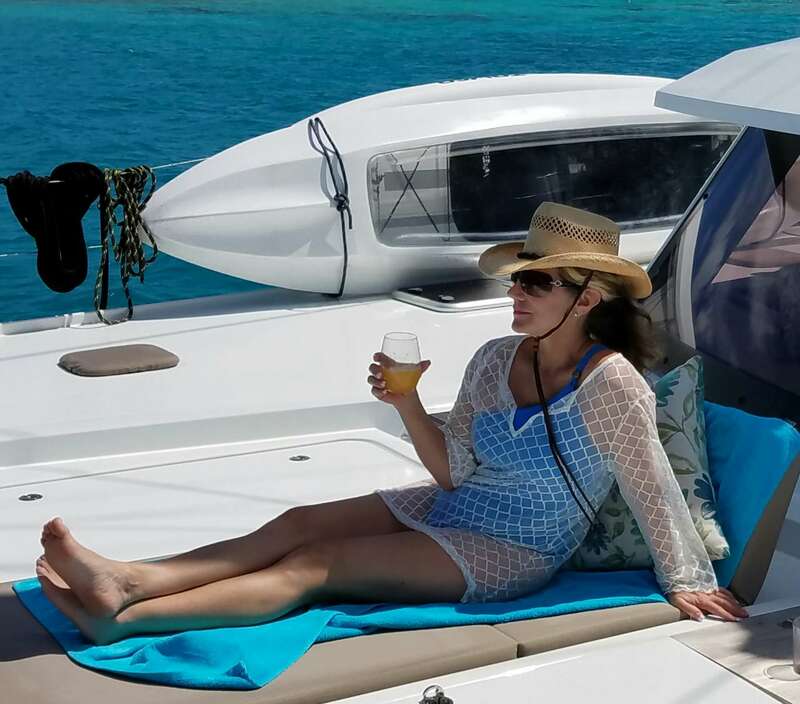 In the past seven years, we’ve worked in the US, Fiji, and the BVI, transitioning from resort and dive shop management to running charter boats and haven’t looked back since! All of Caitlin’s cuisine is prepared from the freshest, local ingredients available. Below is a selection of options, but every menu is highly customizable to adjust for dietary preferences. Emphasis on made from scratch. 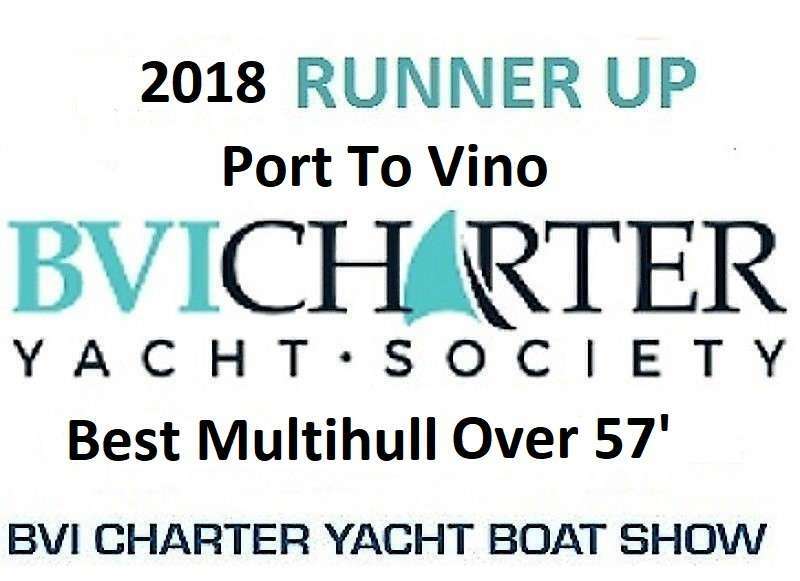 Our charter was one of the best vacations we have ever done. The personal touches by the crew made it a great event. Their marine knowledge, especially, made a big difference whilst snorkeling – every session was very unique. Caitlin is a great chef and put special touches on each meal. Jeff is an extremely competent Captain,very focused on safety, but he also made some fun drinks! We can’t wait to charter again with Captain Jeff and Caitlin! Ann and I just got back …Jeff and Caitlin are head and shoulders superior to any crew that we have ever had. Every happy hour Jeff served us a different cocktail creation, all of which were perfectly light and refreshing, and none of which I (a semi-professional drinker) have ever tasted (the setting…at anchor lounging on the new bolsters under the new fore deck shades…certainly doesn’t hurt the taste of the cocktails!) . Caitlin and Jeff could draw a map of the details of every dive spot from memory and Caitlin has a deep fund of knowledge about of sea life and fish behavior. Every morning Caitlin had made the beds, cleaned the bathrooms and done some sort of magic folding the towels into animal shapes…before we had finished breakfast…we called her the housekeeping Ninja. Following up on our trip with Happy Time… Jeff and Caitlin were exactly as described. Very personable with both the adults and kids. 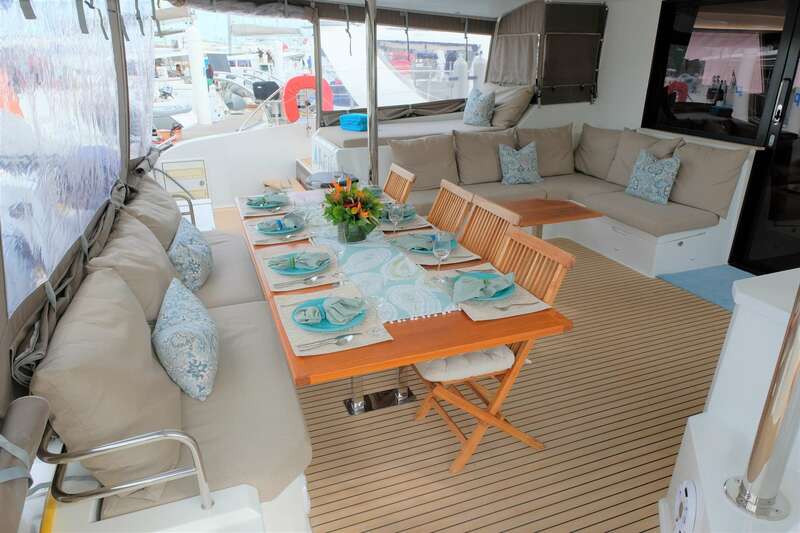 Provided amazing food, and a really delightful atmosphere to sail in and enjoy the BVI. The trip completely lived up to our high expectations.